Olivia De Beukelaer has recently relocated from London to Rotterdam. Now she takes every opportunity to explore her new home. As a guestblogger at Weekends in Rotterdam she is mostly reviewing the city’s food and drink scene. 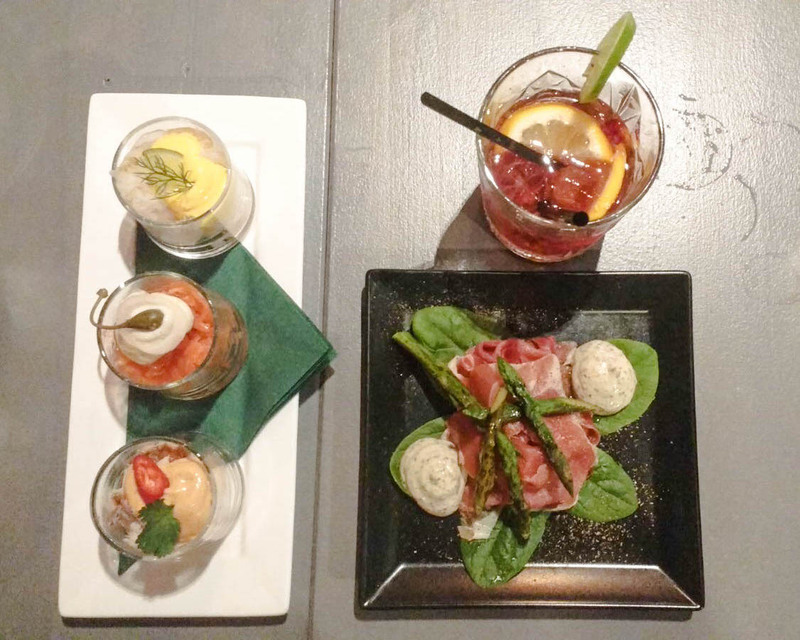 Recently she visited Gastrobar Hartig in Rotterdam to try out their delicious food and drinks! She shares her experience below. Take a seat on the outside terrace on a sunny day, or step right on through into the restaurant itself. The dimly-lit interior is dotted with colourful wall decorations and contrasting furniture to create a warm and cheerful atmosphere. Painted onto the back wall of the restaurant, the owners’ whole family watches on, themselves sat around the dinner table. The gastrobar is truly a family affair. On arrival, you’ll likely be welcomed by one of the family members. And if they aren’t the ones waiting on your table during your visit, they can probably be found mixing drinks under the copper beer barrels that frame the bar, cooking up your meals with hart in the kitchen, or sharing a friendly chat with the staff of the bar next door. Hartig’s sharing plates are as colourful as its decor. The menu features mainly European dishes, sprinkled with fusions from around the world. Take your pick from cold plates of carpaccio, pulled fish or burrata, and hot plates of gambas, stuffed Portobello mushrooms or rack of lamb – two per person makes for a satisfying main meal. Dishes are made on order and served as they are ready, so you can generally expect your cold plates to come out first. In the summer, an oyster bar pops up on the terrace at the front of the gastrobar. There, you can enjoy happy oester (happy oyster) on Friday evenings, with oysters individually and reasonably priced. The summer season closes at the end of August with a celebration of all things seafood on the terrace. Not visiting in the summer? The happy oyster menu is also available year-round inside and out. The tuna tataki tastes as good as it looks. The fresh dish of seared tuna, served cold, is accompanied by crisp celery and radishes, and topped with citrusy ponzu, sesame oil and caviar. 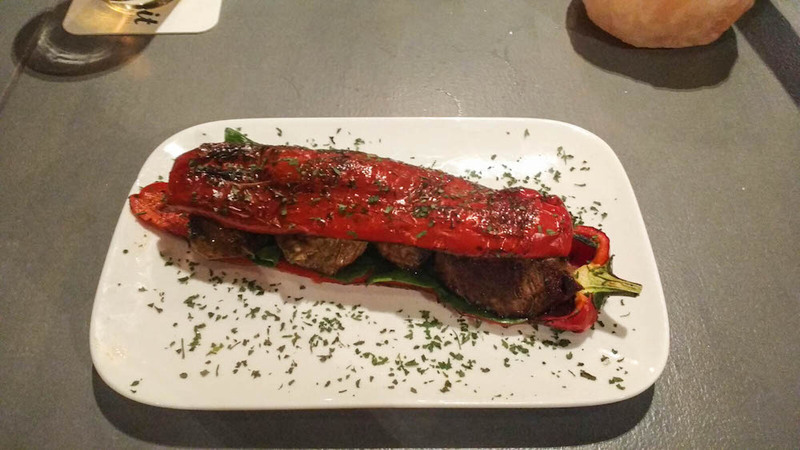 The dish of steak pieces (biefstukpuntjes), packaged up into a roasted pepper, is also a firm house favourite. Insider tip: Are you a vegetarian, vegan or do you have any other dietary requirements? Everything here is made fresh to order, so ingredients can be taken out and added in according to your taste and needs. ‘Pink Willy’ cocktail anyone? Raspberry ice cubes bobble up and down in Hartig’s mischievously-named signature mix of Gordon’s pink gin, tonic and lemon. Other drinks on offer include twists on classic cocktails, as well as a good selection of beer and wine. 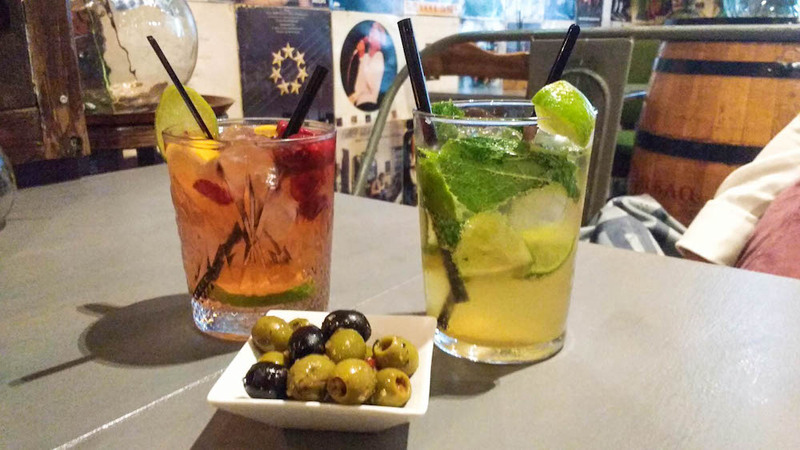 Pop by Hartig this summer to try out their extended drinks menu. There’s talk of more fruit ice cubes, as well as an intriguing selection of beer cocktails. Hartig is a cosy place to get together with friends and enjoy drinks over a few tasty plates of food. Come here on a weekday for a relaxed evening. 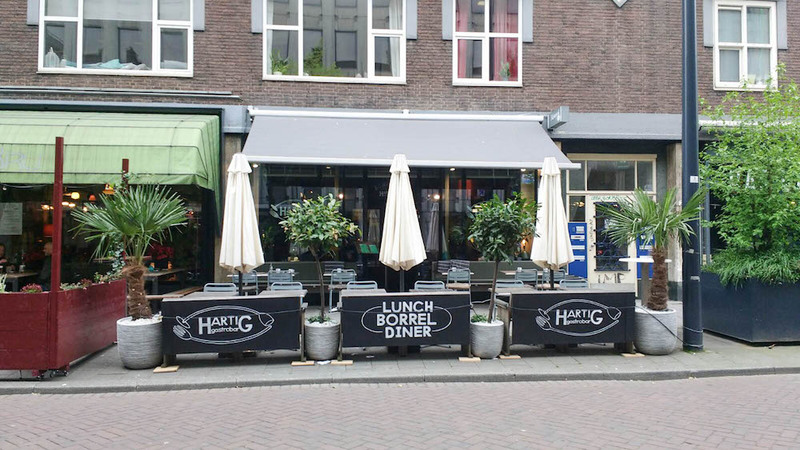 Or soak up the lively atmosphere on a Friday or Saturday night, as Hartig along with the other bars and restaurants that surround Witte de Withstraat fill up with merry crowds. The gastrobar also caters for pre-booked business breakfasts and lunch meetings, ideal for the many nearby offices. Two small plates and a drink usually come to less than €25. Set menu offers are also available. Have you already been to Gastrobar Hartig in Rotterdam? Let us know in the comments! 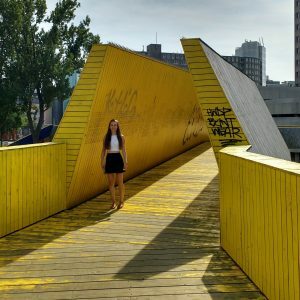 Olivia is a guest blogger and reviewer for Weekends in Rotterdam. She also works full time as a Digital Communications Specialist for MetrixLab, a market research agency based in the city. When she’s not writing, she enjoys eating out, cheerleading and travelling. Follow her Rotterdam adventures on Instagram @olivia.in.rotterdam.